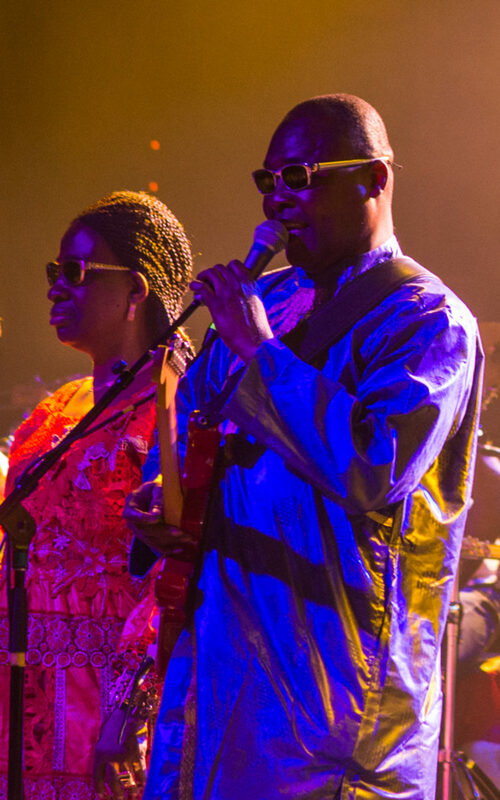 Amadou Bagayoko is one half of the sensationally popular Malian duo Amadou and Mariam. 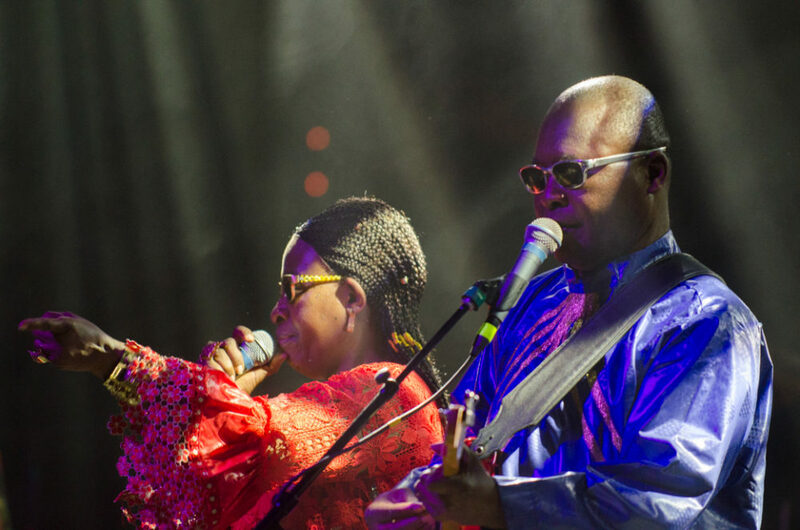 The couple and their band are currently touring in the U.S., supporting their 2017 release, La Confusion. 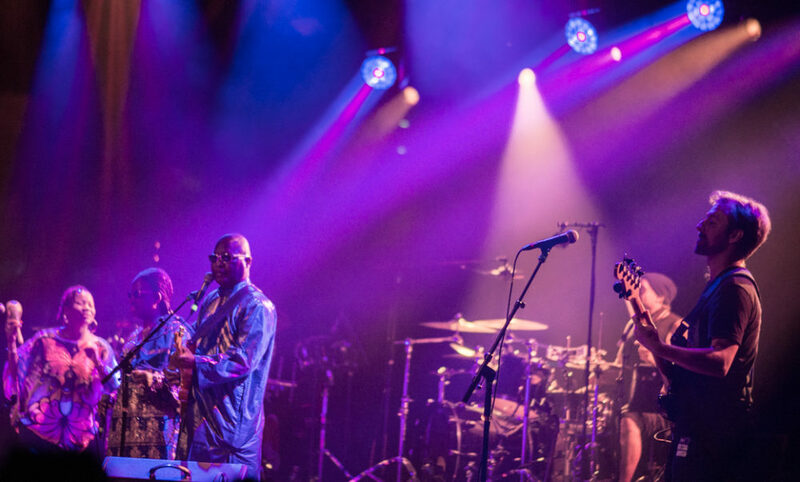 Banning Eyre caught their show at Brooklyn Steel Works on June 6, and reached Amadou by phone a few days later. Here’s their conversation. Banning Eyre: Amadou, how are you? 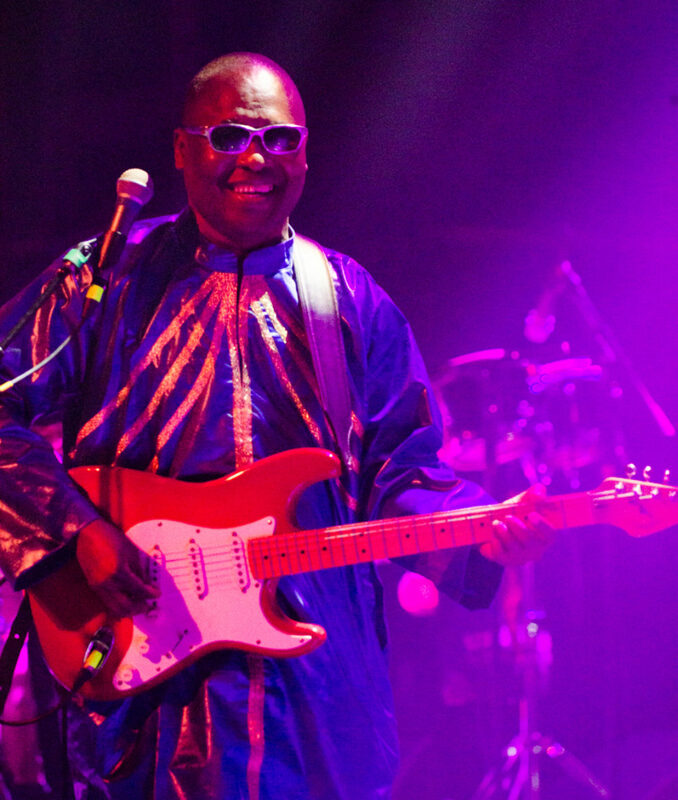 Amadou Bagayoko: I am good, and you? I enjoyed your show in Brooklyn last week. You had a great crowd, a lot of young people. 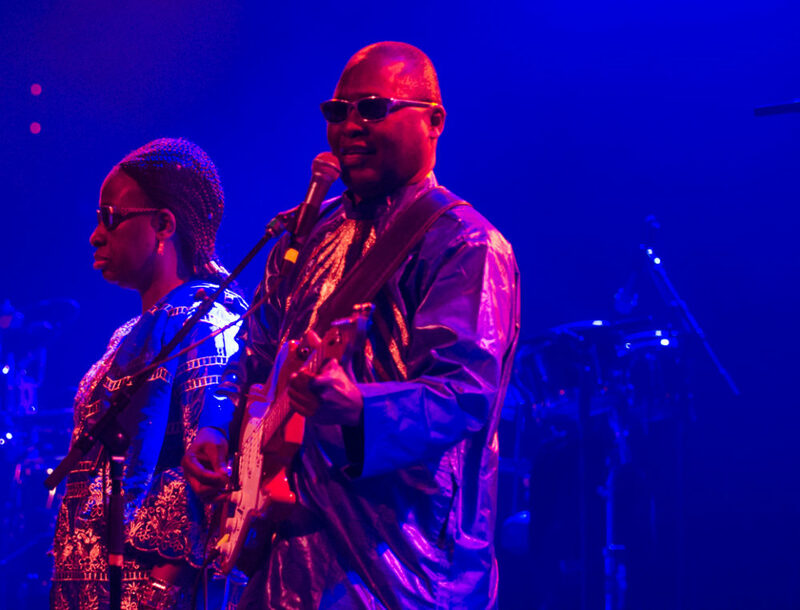 Amadou and Mariam is a hit with young Americans! So what's your secret? What is it about your music that young fans love so much? We have a sound that's part blues, part rock, part African. I think we mix these sounds together, and that's it. And then it's the rhythm, of course. Young people have always been with us. I understand you are in Tennessee now. That's right. We played the Bonnaroo Festival yesterday. That was great. And today we are heading to Montréal. I can never forget that the first time I went to Mali in 1992, I found a cassette of you and Mariam, which I really enjoyed. At the time you were not known in the outside world, so I've watched your career grow all these years. It's very impressive what you've done. And here you are at Bonnaroo! Do you enjoy being on the road? Touring around the world gives us a chance to meet different publics, and discover so many cities. That's the good part of it. Each time you play for a different audience, it's like being pulled into a new world. So being on tour is a life of discovery, a chance to meet all kinds of new people. Do you find it exhausting traveling so much? Yes, it is tiring. But it's great. It feels good to be able to practice your art outside of your country. I would say that the pleasure outweighs the fatigue. Let's talk about your most recent album, La Confusion. After all the records you've made, what was special about this one? Well, this time we didn't invite guests. 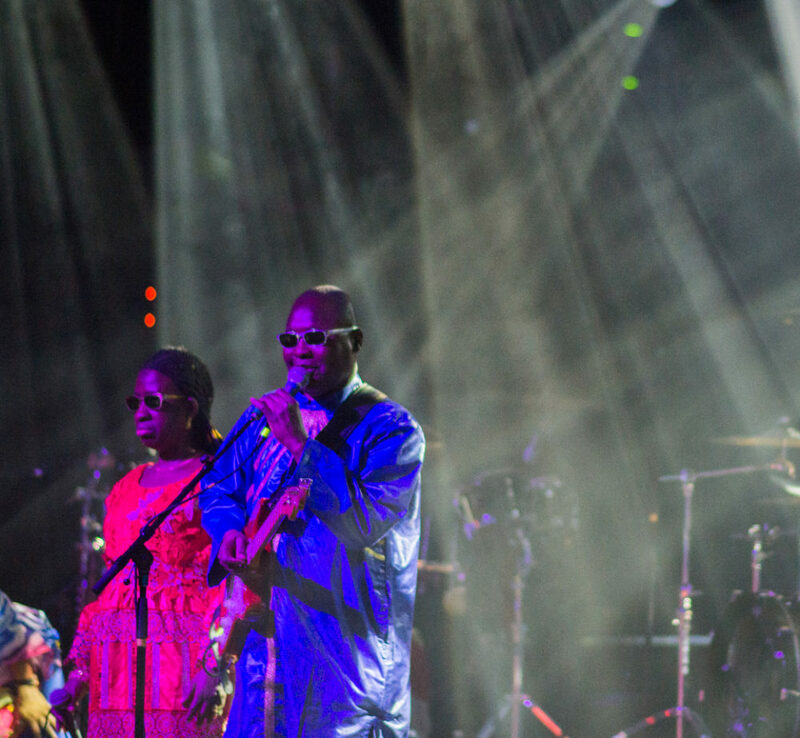 This time the music stayed with Amadou and Mariam and our keyboard player, Adrian Durand. So that was a little different from our recent albums. Because we always want to change the color of the sound, change the genre, to try to make it so that the music is always a discovery. There's still blues in there, and this time disco. Afro-disco. Afro-rock. It's all mixed together. Well, we always sing about daily life, and in Mali, we have had problems-- the coup d'état, the invasion of the north, many, many problems. People are scratching their heads. They don't know what to do. So in the end, we wrote this song for the whole world. So many people in the world are in confusion. So we sang a song in order to talk about the difficulties in the world. So many people have lost their way of life. Yes I guess confusion is something we all share these days. Confusion everywhere. It troubles our minds. I like the first song on the CD, “Bofou Safou.” What is that about? Then there’s “C’est Chaud,” “It’s Hot.” This one really got the crowd going at your show the other night. That song is about people who go into exile without knowing what awaits them. They find themselves in boats, going out into the ocean. The boat might sink, or if they get to the other side, they're in a place where they don't know how things work. There are so many problems they can face. People think that everything is good somewhere else. But it's hot everywhere in the world now. Homelessness. Conflict. So we sing this song to encourage people to travel safely. A lot of artists are addressing this subject of people crossing the ocean in hopes of a better life. It's clearly a big concern. I'm a big fan of Malian folklore, and you have a song that I really like, “Mokou Mokou.” Tell me about that song. “Mokou Mokou” simply encourages people not to argue and fight so much. Sometimes you have to forgive and pardon in order to get by in life. Because if you hold onto a grudge, so many problems can come. Sometimes you have to learn to let go in order to live together with other people. That’s true for all of us. You sing and play very beautifully on that song. Is there another song on this album you'd like to tell me about in particular? Well, “Femmes du Monde” is very important. It is an homage to women around the world, recognizing the challenges they face. Then there’s “Fari Mandila,” which is about laziness, people who don't want to work. They come up with excuses. "I'm feeling sick today." It it's just an excuse to stay in the room all day. In our songs, we are always encouraging people to choose the good road---to work hard, and to keep peace with their neighbors. That's always been your philosophy, hasn't it? You make music that's very exciting and makes people dance, but there's always a social message in there. Yes. We talk about love between men and women, and solidarity among people, because people find themselves in music. They can discover different nationalities without thinking about white or black, African or European or American. When we sing together, everything is good. Your band sounds good. I know that on this leg of the tour you're using an American friend of ours, Sam Dickey, on bass. Yes. He plays very well. He really knows Malian music. That's a big advantage. It's very nice to work with him. 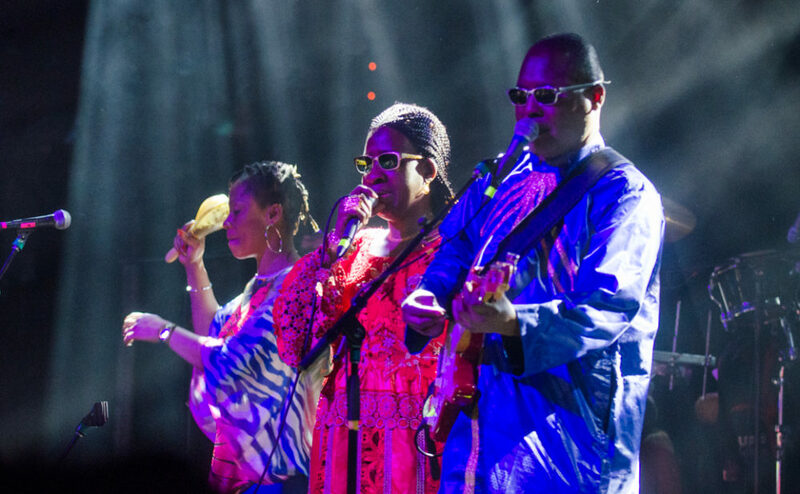 You have a very distinctive sound as Amadou and Mariam. It seems that no matter which producers you use, or how your band may change, it's always recognizable, from the start right up to this album. 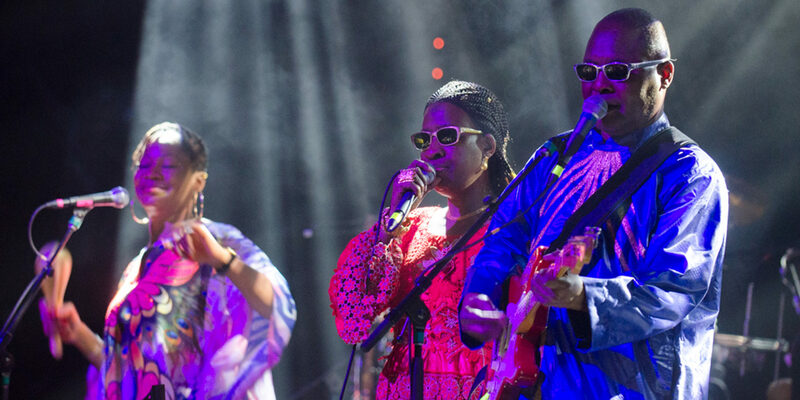 Meanwhile, music in Africa, and in Mali, has changed a lot. The music of young Africans is much more electronic, it has a lot more dancehall and hip-hop elements. And the things they sing about are different. 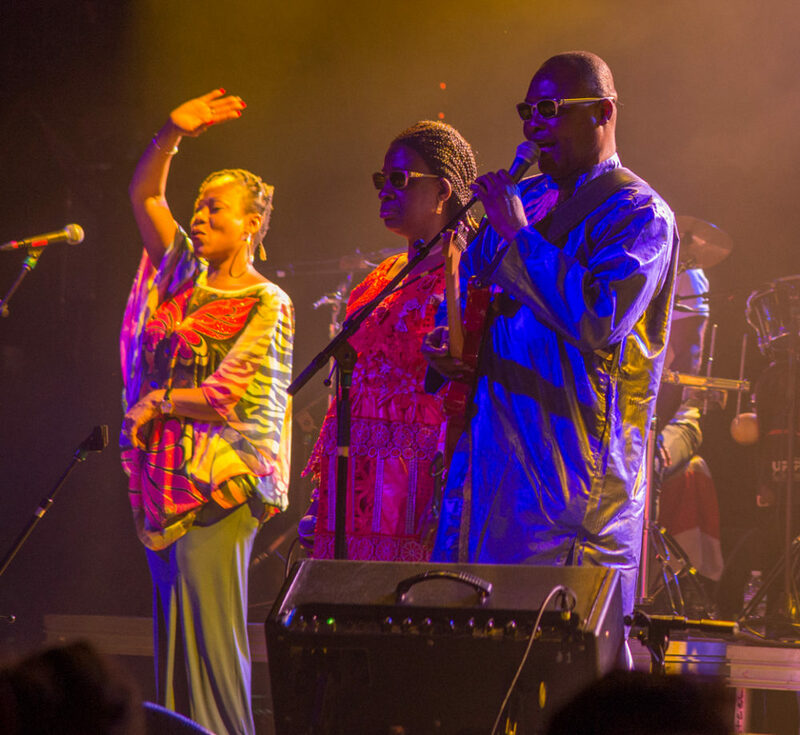 What's your feeling about the new African popular music? It's very good. It's good that it changes. Music has to evolve in order to keep having new listeners and audience. So now we have this new sound of Afrobeats. Afro-rap. I love rap. Just like us, they are sending messages, even if the sound is different. But I still want to see them work hard to make something that is really strong. Do you have any favorites among the new generation? There are so many. I like a lot of the rappers on the scene now. Like Mylmo and Soumi. Everyone finds their road. The griots have their road, and the rappers have their own. The reggae men too. I like that. 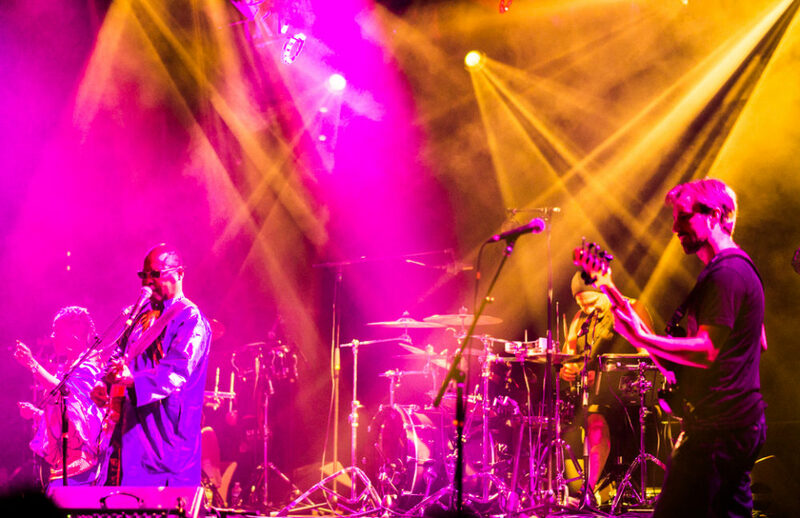 I find it interesting that music like the griots, or Songhai music from up north--these are basically traditional musics that have found a modern way to express themselves. But your experience is different. Going back to your time with Les Ambassadeurs, you have always been reaching out and playing different kinds of music. It seems to me that you are very open musicians, not really confined to any particular tradition. Yes. Because even when we were young, we were listening to a lot of music. We were very open. We were au courant. We listened to the Beatles, to French pop music, to Cuban music. Our hope has always been to be part of global music, to bring together all genres of music. So we bring in blues and rock, English music, French music, American music. We love tradition, but we are not bound by it. And that's how you have found a sound that is quite unique. You know, our radio program, Afropop Worldwide, has been on the air for 30 years this year. I think you know our host, Georges Collinet. Of course. Georges Collinet. We in Mali have known him for a long time. We used to listen to his broadcast in the morning back in 1969-70. He was very popular and Mali. We love hearing those stories. We've been working with him for 30 years, and he's still at it. In good form. So before we go, do you have any special words for the listeners of Afropop? Well, we want to create and send our good wishes to all the listeners of Afropop, because Afropop has helped the music of Africa to be known. We salute you for your engagement and your persistence. So we wish you well and we hope you will keep bringing the pleasure of music to all your fans. Thank you very much. And send our best to Mariam. Hopefully we will meet again soon, in Bamako.